Want to share what you love? Hands up who loves card making and scrapbooking? (Me, me me!) 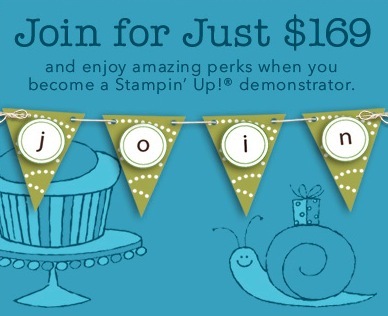 If you're like me and love your hobby and want to share it with others this is the perfect time to join Stampin' Up! as a demonstrator. 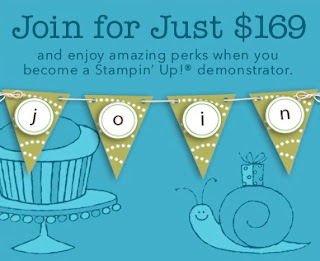 During September you can join and receive a Mini Starter Kit valued at over $310 for just $169. That's a whole lot of ink pads, stamps and paper! Check out all the details of the kit HERE. Want more? Well this month the Full Starter Kit is 20% off. That's over $610 worth of product and business supplies for just $231.20. Check it out HERE. Both kits are customizable and you don't need an ABN to join. Joining is easy just email me at info@sallycancraft.com and I'll send you out the forms. Feel free to contact me with any questions you have. Stampin' Up! is great business to join and is flexible to suit your lifestyle. For me that means I enjoy discounts on products, lots of opportunities to learn at exclusive events (and with the team I'm in), and to teach classes in my spare time and share my love for paper craft. Speaking of classes - I had a great one on Saturday and I'm hoping to share the photos with you later this week for a bit of inspiration.